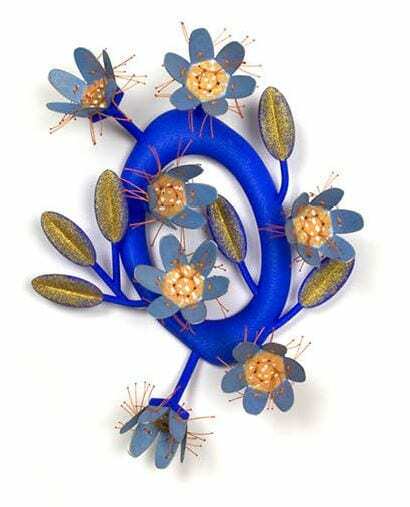 Florida CraftArt will present “Offbeat Bijou” now through March 2. 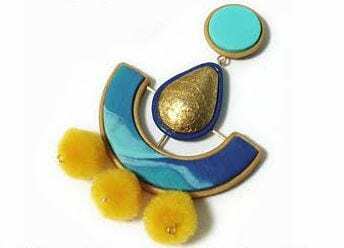 The exhibit has been put together by independent curators Kelsey Nagy and Melissa Yungbluth, who invited artists from across the country who make jewelry using nontraditional methods, materials or concepts to create their pieces. The results are amazing. The opening reception is January 25th. Docent-guided tours will be available every Wednesday at 1:15 p.m. during the exhibit, and at 1 p.m. on Wednesday, Feb. 13, ArtLofts artist Julie Dye will give a jewelry-making demonstration. Inspired by haute couture, art history, New Wave/Pop Music and everything Bowie, San Francisco artist Emiko Oye creates colorful, bold jewelry from conceptual art statements to urban ready-to-wear. She uses LEGO® and semi-precious materials. Her jewelry universally tugs on the nostalgic heartstrings, and artfully interweaves memories into conversation-sparking adornment. Technology has been essential in the creative process of Miami-based Venezuelan-born architect/artist Saul Galavis as he expands his work into jewelry by using 3D-printing. He has a passion for descriptive geometry, sections and planes, and folds that take place in tridimensional spaces. He couples white volumes and forms, with positives and negatives spaces, in a style that he christened ‘Constructivist Geometry,’ blending materials and creating self-produced shadows. Programming includes docent tours every Wednesday at 1:15 p.m. and a jewelry-making demonstration by ArtLofts artist Julie Dye on February 13 at 1p.m. Florida CraftArt is located at 501 Central Ave. in St. Petersburg. Visit floridacraftart.org for more information. For more Jewels in St Pete check out Jewels of Imagination.